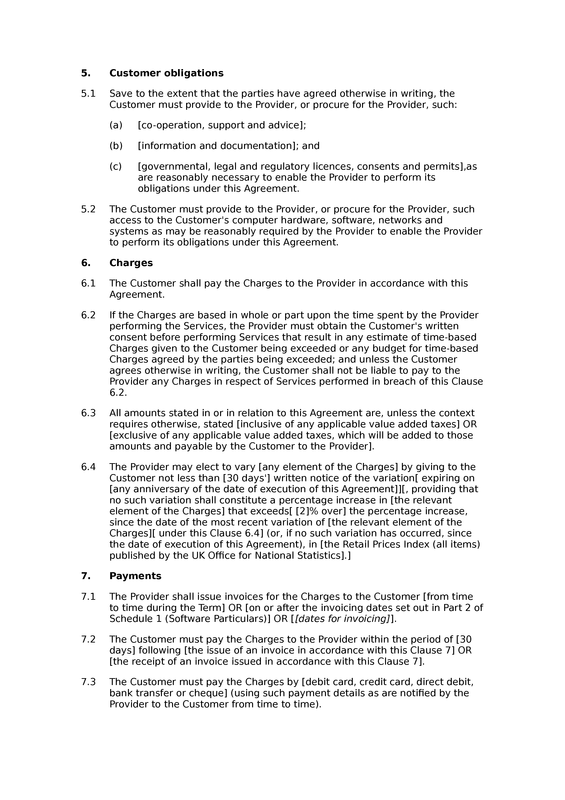 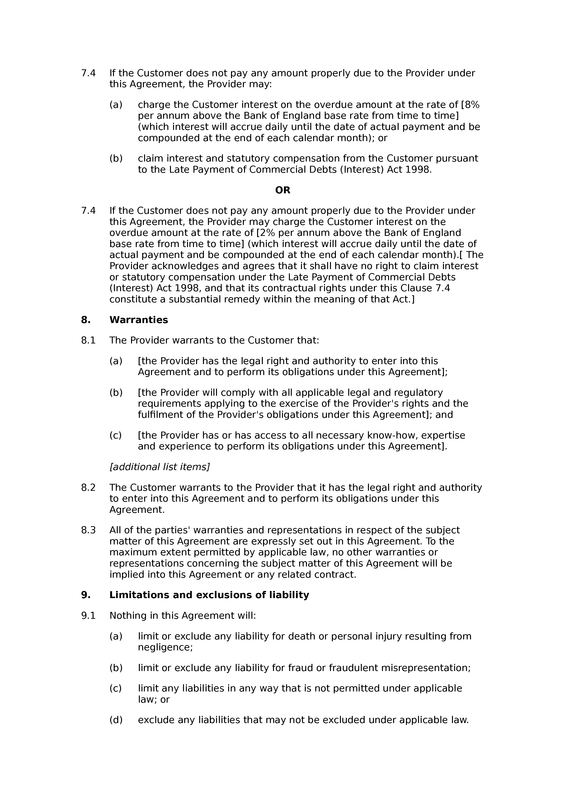 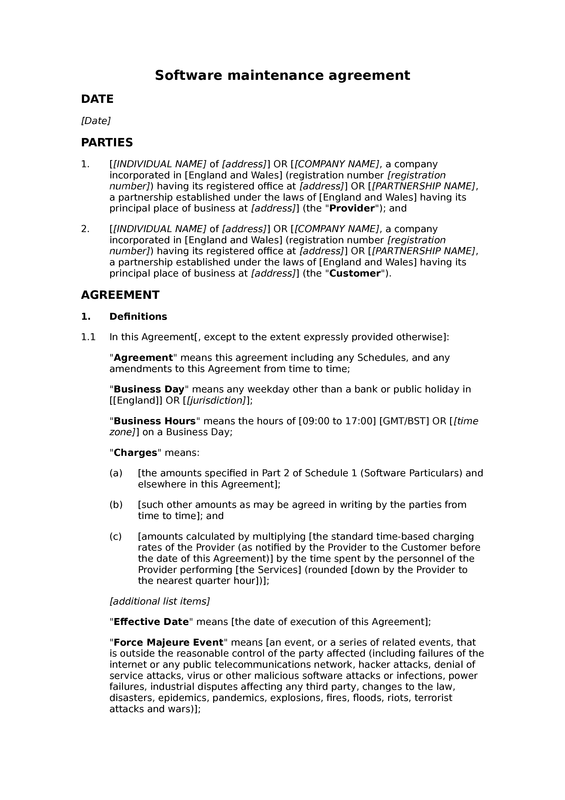 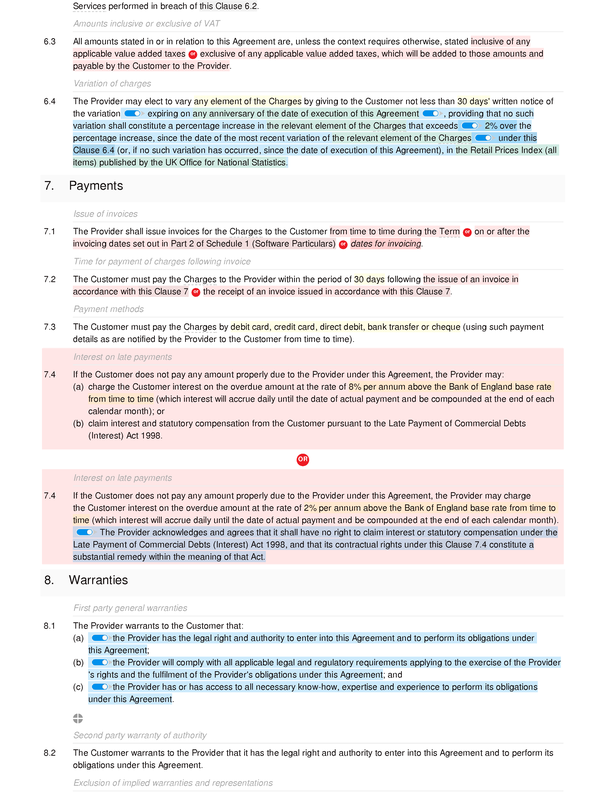 This straightforward software maintenance agreement is identical to the our basic agreement, but as it is free-of-charge it does include a credit for SEQ legal which, under our licensing terms, you need to retain in the document. 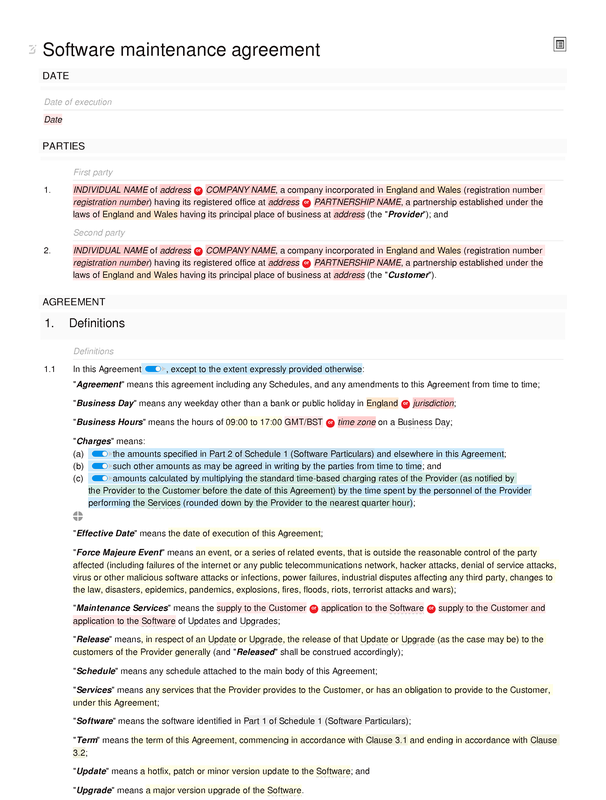 The agreement covers maintenance services by a software vendor in relation to software: that is, the supply of software upgrades and updates, and potentially the installation of those upgrades and updates by the service provider. 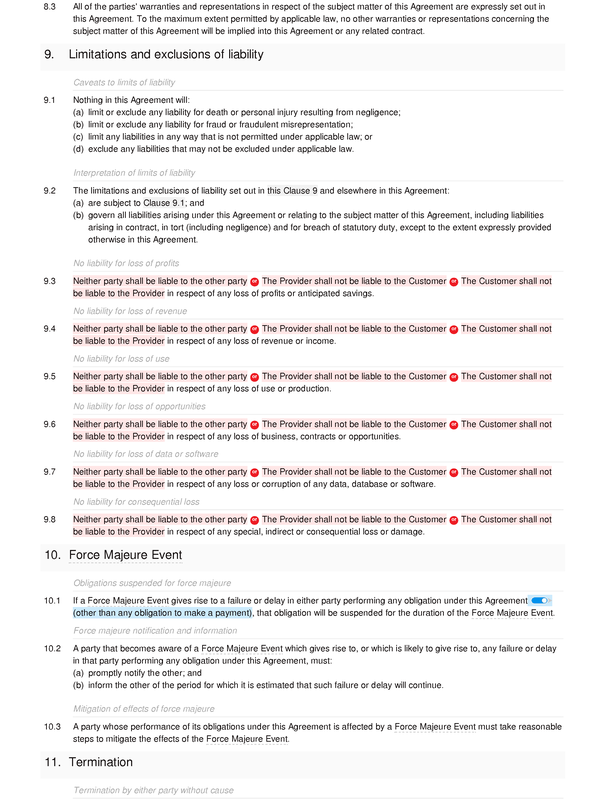 Maintenance Services: maintenance services provision; standard of maintenance services; maintenance services in accordance with SLA; suspension of maintenance services. 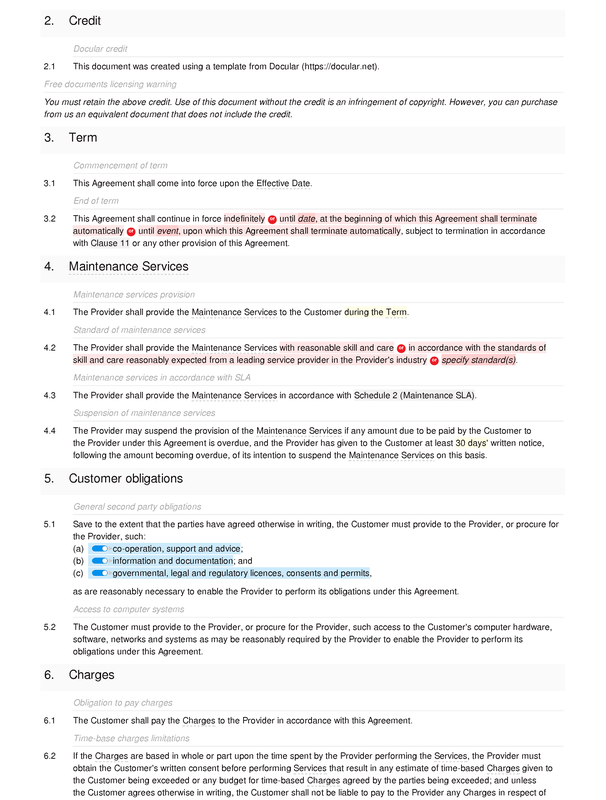 Introduction: introduction to maintenance SLA. 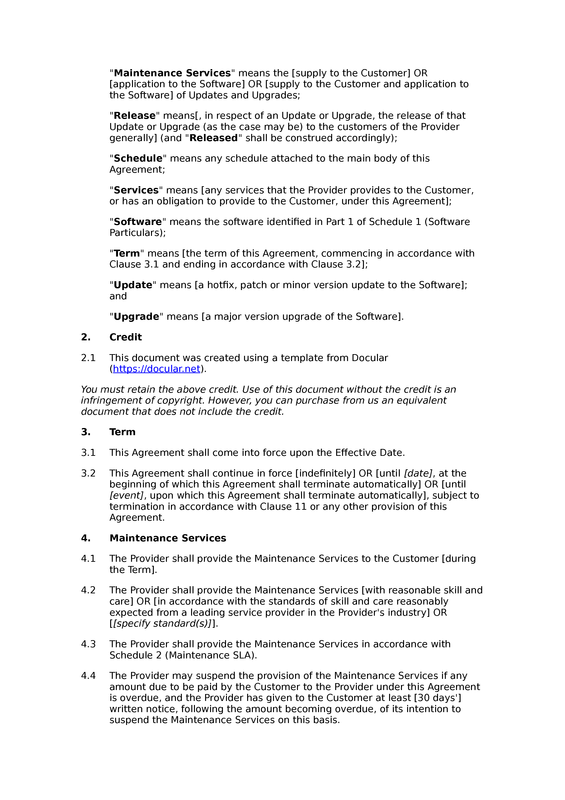 Updates: notice of software updates; provision of software updates; application of software updates; provision and application of software updates; consequences of not applying software update. 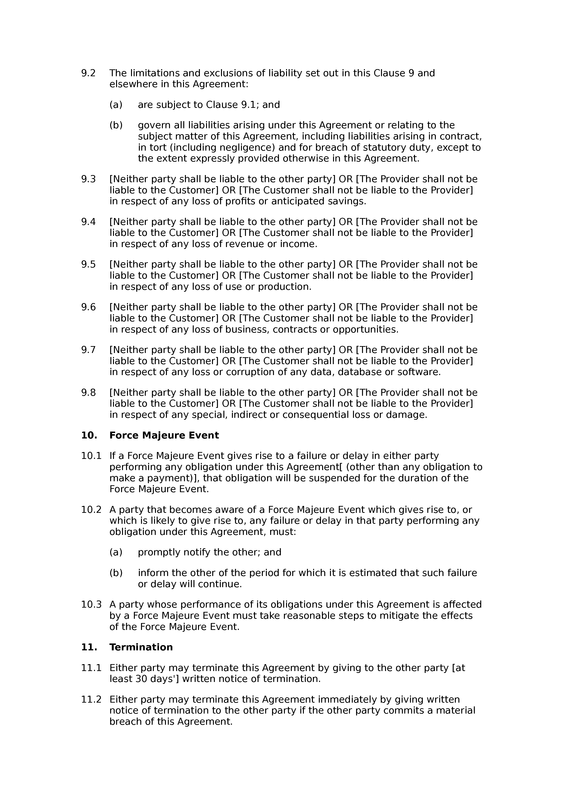 Upgrades: upgrade release roadmap; obligation to release upgrades; notice of software upgrades; provision of software upgrades; application of software upgrades; provision and application of software upgrades; consequences of not applying software upgrade.